A half-century-old agreement between the United States and Canada governing hydropower and flood-control operations along the Columbia River needs to be updated to deal with modern-day issues, such as environmental protections, said U.S. Sen. Patty Murray. 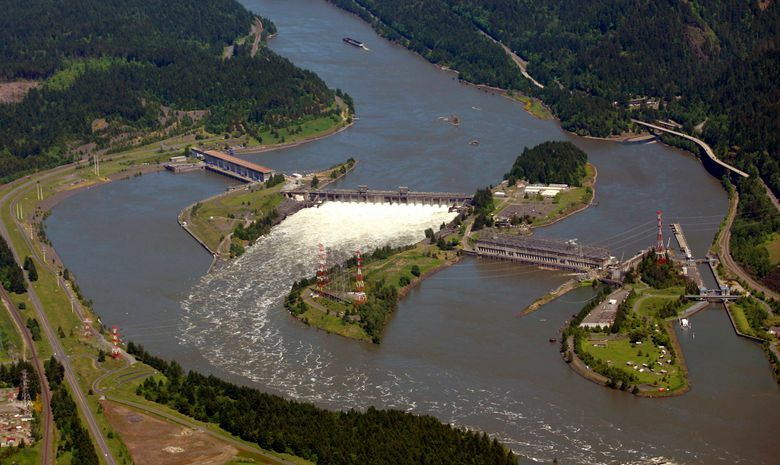 Members of Congress from Washington state are praising the decision to start negotiations early next year over the future of a half-century-old agreement between the United States and Canada that governs hydropower and flood-control operations along the Columbia River. Lawmakers from across the Pacific Northwest have been pressing the U.S. government to reopen Columbia River Treaty talks for several years. The 1964 agreement doesn’t have an expiration date, but either country can cancel most of its provisions after September 2024, with a 10-year minimum notice. The U.S. Department of State on Dec. 7 announced its intention to enter talks with Canada over the treaty. The Columbia starts in British Columbia and flows more than 1,200 miles, mostly in the U.S., to the Pacific Ocean. “The Columbia River Treaty is of immense importance to the economy, environment and culture of Washington state and the Pacific Northwest,” said Sen. Patty Murray, D-Wash. But it needs to be updated to deal with modern-day issues facing the region, such as environmental protections, she said. Modernizing the treaty to balance flood control, hydropower generation and environmental protections could benefit both countries, said Sen. Maria Cantwell, D-Wash.
Rep. Cathy McMorris Rodgers, R-Wash., whose district includes portions of the river, has pushed for years to reopen treaty talks. “We must move forward with renegotiations to ensure this agreement remains mutually beneficial,” McMorris Rodgers said. The treaty over time developed a “Canadian entitlement” that makes U.S. electricity consumers pay Canada more than they should for power benefits, she said. “It is estimated that our constituents overpay this entitlement by 10 times the reciprocal benefit,” said McMorris Rodgers. Northwest utilities make an annual payment of $250 million to $350 million to Canada. The payments were intended to reimburse Canada for building storage dams to benefit downstream power generation. But an outdated formula overpays Canadians, a coalition of more than 80 Northwest utilities has contended. The payments affect the monthly bills of 6.4 million U.S. electric customers in the Pacific Northwest. Indian tribes in both countries would like the heavily dammed Columbia to flow more like a natural river, with additional releases of water in dry years to aid struggling salmon and steelhead runs. Tribes have also said new negotiations might produce agreement on reintroducing extinct salmon runs above Grand Coulee Dam in Washington state. In British Columbia, residents living along the river want more stability in reservoir levels. The treaty was originally intended to reduce the risk of floods in downstream cities like Portland, and to develop additional hydropower capacity. It led to the construction of three large storage reservoirs in British Columbia (Duncan, Mica and Keenleyside). The treaty also spurred the construction of the giant Libby Dam in Montana. All told, these projects doubled the storage capacity of the basin — and dramatically reduced the river’s natural spring flows. But the treaty did not cover the impacts on fish and wildlife populations. A group of conservation, fishing and religious organizations say that should change. “Modernizing the treaty … is not just an opportunity but also a critical need given the challenges salmon face in the 21st century,” said Samantha Mace, of the Save Our Wild Salmon Coalition. The new talks are an opportunity to include “ecosystem-based function” — or health of the river — as a formal component, on equal footing with flood risk management and hydropower production. “We aim to prod both countries to achieve that goal,” said Greg Haller of the environmental advocacy group Pacific Rivers.